A self-admitted compulsive liar, Tom DeVocht has spread hate ever since he was kicked out of the Church in 2005 for gross malfeasance. An audit showed he had covered up his gross mismanagement of construction projects and waste of millions of dollars of Church funds. DeVocht, by his own estimate, said he cost the Church $10 million prior to his removal in disgrace. To gain favor with a real estate broker to obtain football tickets, DeVocht enlisted a convicted felon to broker a Church property acquisition—in which DeVocht was conned into helping the felon secretly acquire a sister building he then defaulted on—losing both the building and $1 million when the broker walked away from it. Violating Church policy, DeVocht secretly committed the Church to a multimillion-dollar loan guarantee with an energy company, only to see the company default. Because of DeVocht, the Church was stuck with paying off the loan. Still another construction project cost the Church millions due to DeVocht secretly requesting repeated “change orders” to cover up his lack of planning, the cost overruns only discovered when a contractor sent his invoice. Yet another project went several million dollars over budget as a result of DeVocht’s ineptness. For his misconduct, DeVocht was removed in disgrace by the leader of the Church, as there is zero tolerance for such malfeasance. In admitting he had cost the Church $10 million, DeVocht made the disingenuous promise that he would work to pay it back. To no one’s surprise, the Church hasn’t seen a penny. DeVocht’s thievery even extended to his own family. He sold two of his wife’s cars without her knowledge at different times she was out of town, and then spent the money. He squandered over $100,000 of her inheritance, and shortly before he left the Church admitted to having stolen cash from his now ex-wife’s grandmother on their wedding day. DeVocht left his wife of 19 years in 2005 and walked away from the Church. He was later expelled from the religion. After being silent for four years, he began making the outrageous claim that he had been subjected to physical abuse, even though in reality he abused others, including his wife. 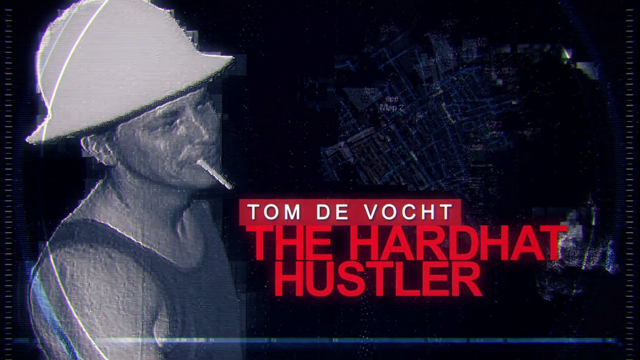 DeVocht has worked to break up his own and other families, including a stint as a self-styled “deprogrammer” engaged in human rights violations and criminal activities. In 2009, DeVocht teamed up with his then-girlfriend in an effort to harass her father, a Scientologist and staff member, into leaving the Church. His girlfriend had deserted her family 20 years earlier, run off with a married man, cut all ties and began to attack her father and his religion. She and DeVocht appeared without notice outside her father’s workplace, demanding to see him. Her father saw it for what it was—a sham performance—and told the couple to get lost. In an effort to cause even more trouble that he could exploit in the media, DeVocht called the police, claiming the father was being held against his will; however, when law officers arrived at his work, they found the father fit, happy and cheerful. Case closed. In a 2013 incident, a young Scientologist was literally kidnapped by her brother and ex-boyfriend and brought to a home in the Hollywood Hills where she was held against her will and verbally abused by DeVocht, Michael Fairman and six other anti-Scientologists. The woman was forced to remove her shoes and held in a locked room while the group encircled her, verbally attacking her and haranguing her with lies about her religion. At one point, DeVocht tried to physically block her from leaving and told her that if she were his sister he would tie her down to prevent her from leaving. Frightened for her life and in tears, the young woman ultimately managed to escape. She remains an active Scientologist to this day and has repaired her relations with her family that were soured by the lies of DeVocht and these anti-Scientology bigots. And indeed, DeVocht did treat his own sister in the same abusive fashion when he tried to turn his 30-year-old niece against her mother, a Scientologist and staff member. After almost no contact with the girl during the three decades she was growing up, DeVocht suddenly reached out to her without notice to spread lies about his sister and Scientology, in a failed attempt to drive a wedge between his niece and his sister. Once dressed in Armani suits with a beautiful wife from a prominent family, DeVocht today lives hand to mouth, barely eking out an existence. Bitter at his expulsion from the religion, and having to face the reality that he is incompetent and unable to hold a decent job, he turned to alcohol and drugs. But now, not even able to afford a beer, he has joined up with other apostates, making up outrageous lies about the Church and its leader. All are motivated by revenge for their expulsion and by their desire to make money from their lies. DeVocht’s words and actions utterly destroy his credibility. Expelled from the Church after covering up his gross mismanagement of construction projects that cost millions of dollars of parishioner funds. DeVocht became increasingly violent in the time before his expulsion, physically assaulting two individuals as well as his own wife. By his own admission lying was a way of life, and he only considered it a transgression if he was caught. Was involved in an attempted deprogramming of a young Scientologist, intimidating her and physically blocking her from escape.